Who’s in on any of these? Pretty big news. I imagine a bump on the lower priced ones if and when this happens. Oh wow! I have ADA, BAT, and XLM. Shoot for the moon! Let’s hope for at least $100 each haha. Yeah!! I also have ADA and XLM! And there you have it, ZRX launched on Coinbase and Coinbase Pro this week, and last week. 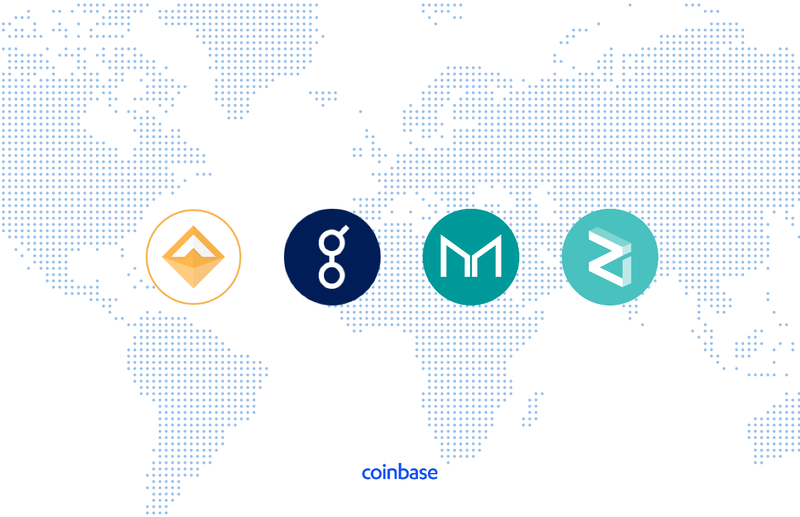 Probably not a coincidence that the people behind ZRX have ties to Coinbase. And ZRX got a super nice bounce when it hit Coinbase on Monday. It was up 30% for some time, coming in at 20+% over the last 7 days. So, keep an eye on what Coinbase might list next, and get in early to get that “Coinbase bounce”. 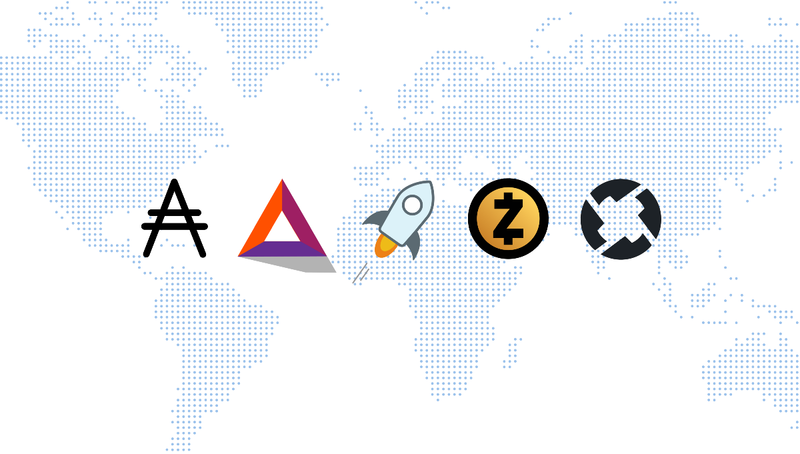 Still potentials to be listed, as mentioned by FFF, are ZEC, BAT, ADA and XLM. 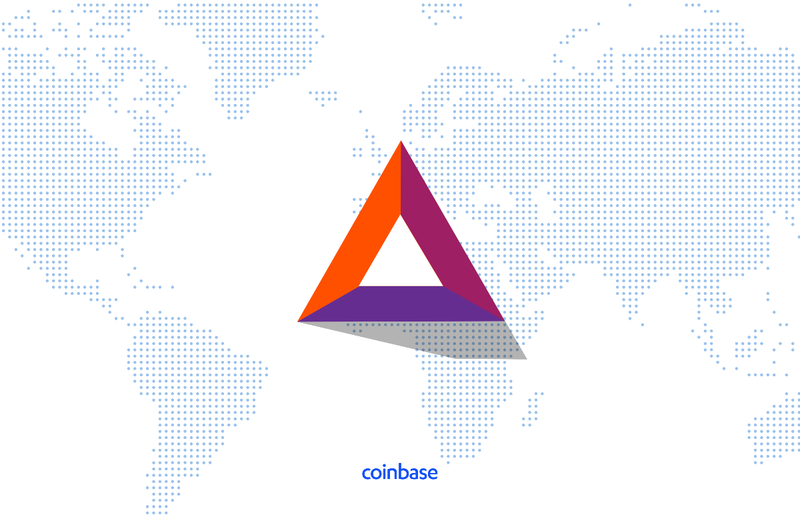 Here’s the latest from Coinbase on their most recent supported asset, BAT, which we’ve talked about before. Like the article says, its on available to Coinbase Pro accounts. Up 18% over the last 7 days, 10% in the last 24H. The bounce is real! 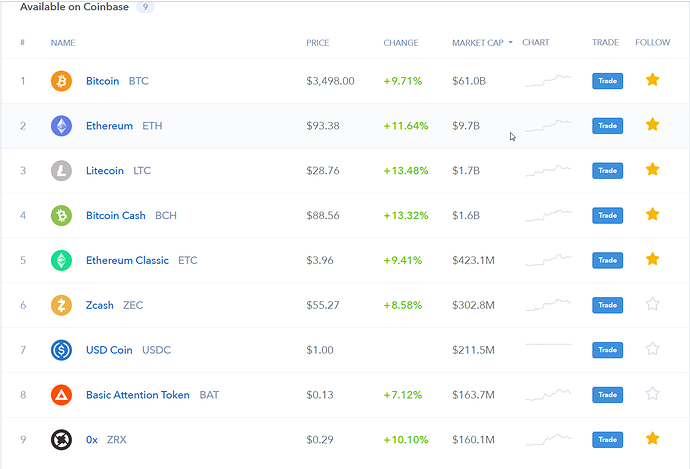 There’s also talk about Coinbase adding XRP, who’s flirting with being the number two coin, by market cap, behind BTC (depending on whether you’re using total supply or circulating supply to calculate market cap). Excellent read on some of the issues Coinbase might have with XRP, that are leading it to list, or not list, XRP next. And since the release on just plain Coinbase, down close to 20% and still falling. Sweet! The list has been made. The whales are pumping the prices already and getting us little fish in, to dump once their predetermined gains have been met. I know, it’s a pessimistic viewpoint, but it’s buy, pump, dump, rinse and repeat. I’ll be honest, I’ve only heard of Golem previously. 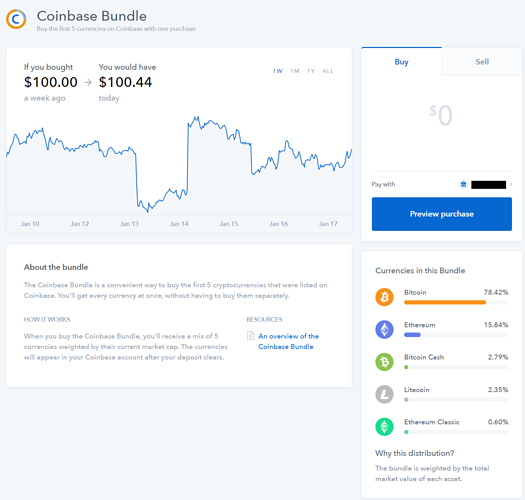 Coinbase now selling the Coinbase Bundle, where you buy, at one time, the first 5 currencies listed on Coinbase. A single order gets you BTC, Ethereum, Bitcoin Cash, Litcoin and Ethereum Classic, with the distribution of each in the bundle weighted by their respective market cap. Check it out. Definitely an easy way to get exposure to multiple currencies with a single purchase. You’re also only paying Coinbase’s commission charge once, so this is the least expensive way to buy all five cryptocurrencies at once (at least when using Coinbase). Once you’ve bought the bundle, you can only track each individual currency’s performance, and not the bundle’s performance as a whole. That stinks a little bit.